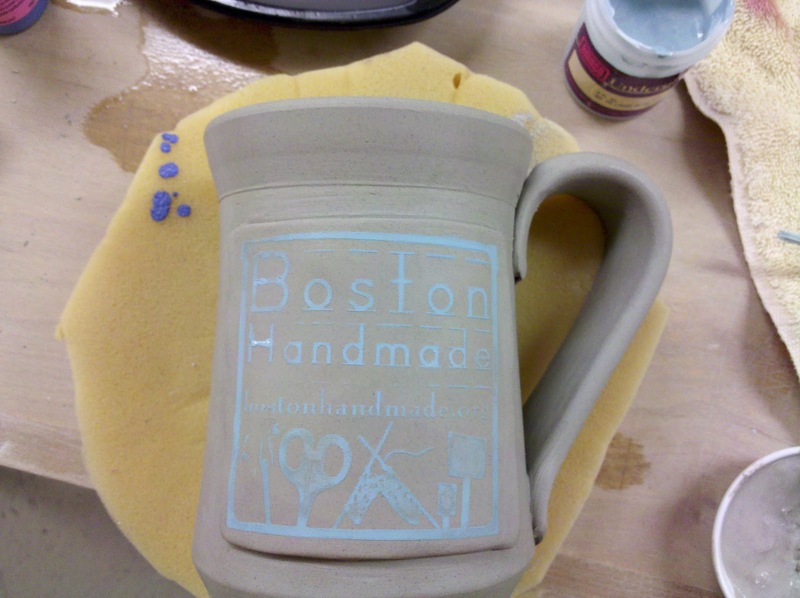 I'm working on a project right now that requires a few examples of logos so I asked permission from Jessica Burko, our director, to use Boston Handmade's. I screened the design onto a mug with underglaze using our signature blue color. The pic shows the piece unfired, right after the screening, but you can still see the great detail, I love it. These babies aren't up for sale, but if you're digging our image, sport a t-shirt with our logo on it, printed by our very own Evan Webster of Evan Webster Ink. Awesome mug. Impressive screen printing skills my friend! Wow, that looks great, Karen!